EnviroProjects expertise is sought out for private development and public infrastructure projects throughout the Mid-Atlantic region. Aaron M. Keel, AICP, is an Environmental Planner/Scientist offering over 25 years of professional experience. 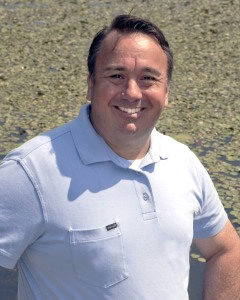 As a former State of Maryland Permitting Project Manager for the Department of the Environment and the Department of Natural Resources, Mr. Keel has an insider’s familiarity with the state and federal permitting and regulatory process. His familiarity with State and Federal regulations and permit decision-makers in Maryland, Delaware and Virginia enable him to smoothly and efficiently navigate the permit approval process. Mr. Keel has a BA in Psychology from Randolph-Macon College, a Masters in Environmental Planning & Geography from Towson University, and a Certificate in Environmental Studies from Johns Hopkins University. National Environmental Policy Act (NEPA) compliance and Section 404 lean Water Act implementation; including support for legal defense testimony in Federal Section 404 Clean Water Act wetlands enforcement actions. Feasibility Studies and Impact Assessment. Archeology and historic structures compliance under Section 106 of the National Historic Preservation Act. Atlantic & Gulf Coast Regional Supplement, Wetland Delineation, Society of Wetland Scientists. NEPA: Project Development and Transportation Decisionmaking; 2-days; by FHWA & Md SHA. Section 106 National Historic Preservation Act (NHPA) in the Regulatory Environment;2-days; DelDOT. Managing the Environmental Process; NEPA & Transit; 3-days; by MTA. NEPA for Managers; 8-hours; by National Association of Environmental Professionals. Section 4(f) in Transportation; 6-hours on regulation and application; by Maryland SHA. Wetland Mitigation Design & Assessment; 2-days. Forest Conservation, Qualified Professional Training, Carroll College.